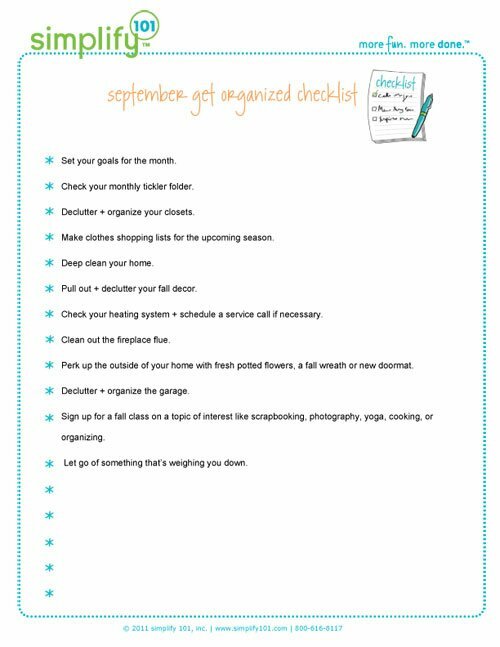 April showers bring May flowers...and May brings another Get Organized Checklist. Have a great month! 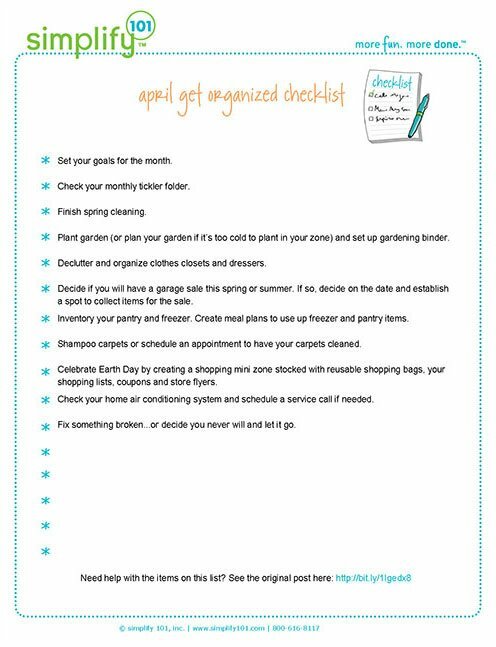 In anticipation of April first…no foolin'…we’ve got your April Get Organized Checklist all ready to go. Woohoo! Let’s make it a terrific month. Let’s keep our January “get organized” momentum going right into the month of February, shall we? 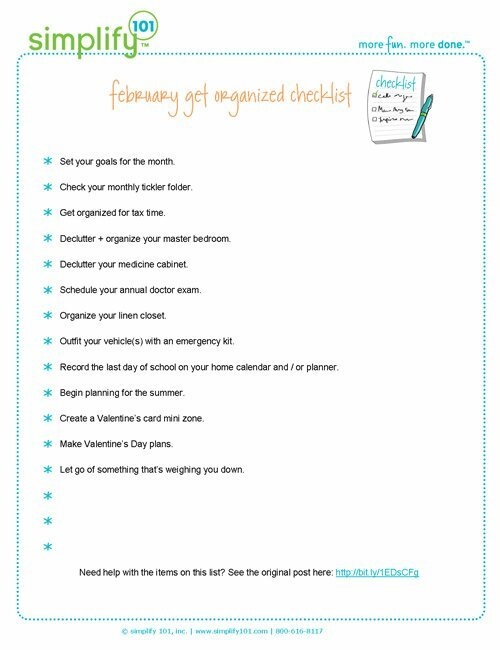 Your February Get Organized Checklist will help you do just that! 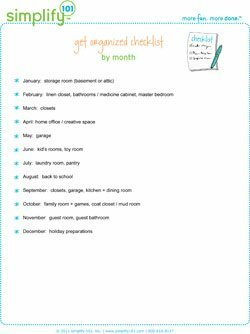 Use this checklist to spread out your home organizing projects over the course of a year. This checklist is a summary of our monthly organizing checklists. 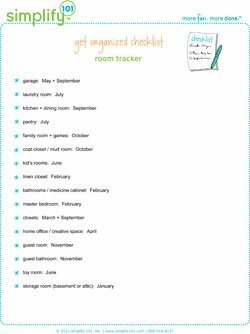 It lists which room to organize each month. 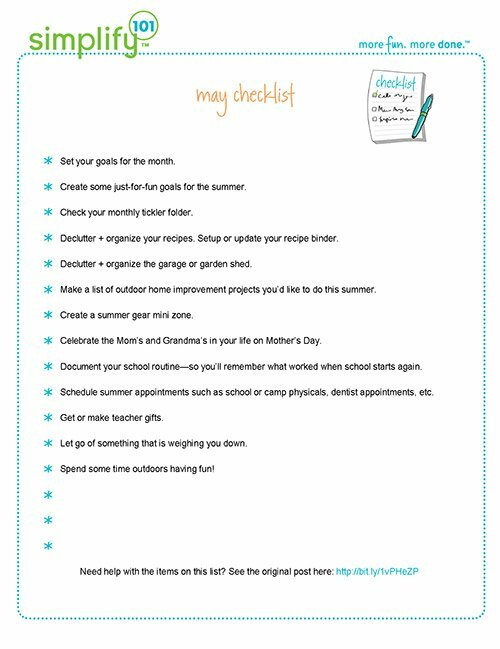 This month’s checklist is a bit shorter in celebration of the month of July—a time to slow down and enjoy the long summer days. It’s a great time to pull out your prior month’s checklists to see if there’s something you haven’t checked off yet that you’d like to work into this month’s plan. It’s September, a terrific time to head back inside and create a little order. And it’s time for a fresh, new Get Organized Checklist. Happy March to you! 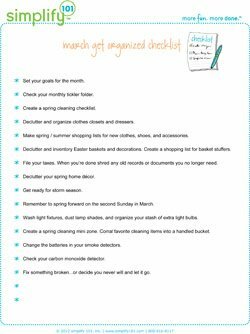 Spring—and spring cleaning—are on my mind this time of year, so you’ll see a bit of that in this month’s Get Organized Checklist. Enjoy! Happy New Year! 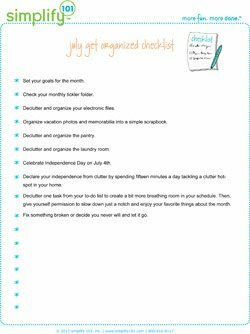 It’s a new month and a new year, which means, it’s a great time to get organized. 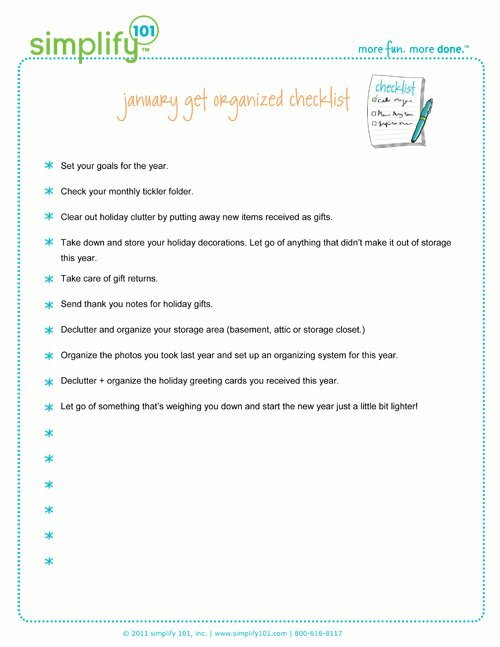 Here’s your January Get Organized Checklist to start your year on an organized foot! 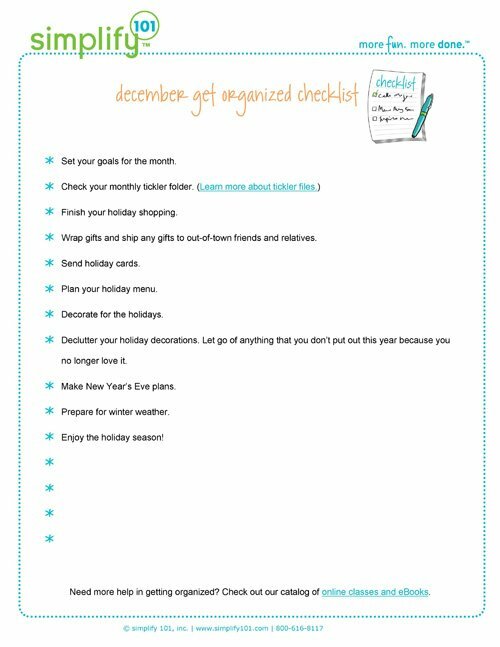 This month’s Get Organized Checklist is focused on holiday to-dos, with a few basic organizing tasks tucked in for good measure. Have an organized and happy December!